Trans-Rak International design, engineer and manufacture a variety of quality products to efficiently containerise vehicles for global transport on road, rail and sea. Products are tested and certified to ensure vehicles arrive safely and undamaged. All products are designed for safety, longevity and are highly recyclable, reducing the detrimental impact of more traditional wood packing methods to the environment. 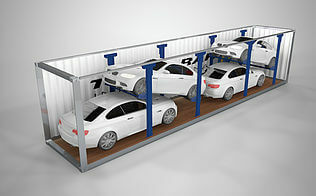 The R-Rak is a removable car racking system that allows a wide variety of vehicles to be efficiently loaded into any container size. R-Rak is easy to operate and can be packed away for repositioning in large volume. 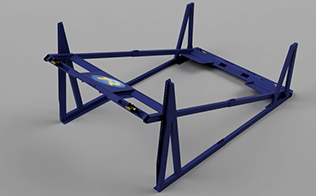 The R-Rak Pallet-Wide is an adjustable development of the original R-Rak. Its width can be altered, allowing for it to fit into a range of container widths. 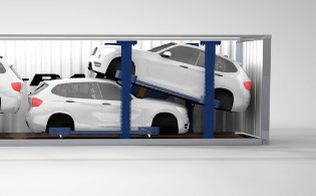 More cars can now be loaded into Pallet-Wide containers as well as ISO containers. 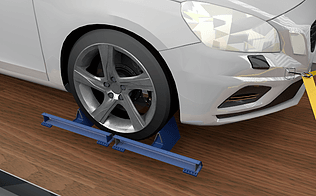 The Trans-Rak wheel chocks are specifically designed to prevent a car from rolling while inside a container. The wheel chocks can secure any vehicle wheel sizes and is engineered to withstand the high shunting forces of rail movements without damaging container floors. 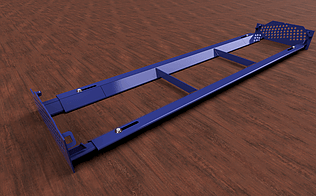 The DL-RAK is designed for loading wide vehicles that cannot be driven into the container. 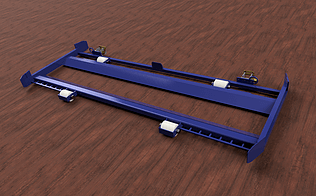 The DL-RAK allows for vehicles to be lashed down before being loaded into the container and then rolled into place.